You made this our best year yet! Every day 213,966 kids in Massachusetts leave school with nowhere to go. They risk being unsupervised, unguided, and unsafe. 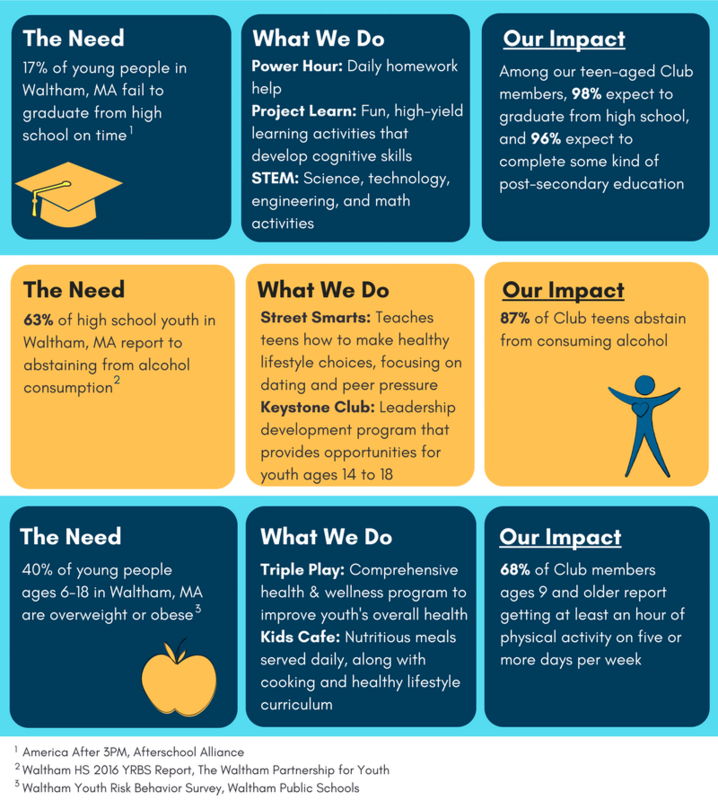 Thanks to you, the Waltham Boys & Girls Club is able to fill the gap between school and home for over 1,300 registered members and over 12,000 young people served through community outreach. We provide welcoming, positive environments where kids and teens have fun, participate in life-changing programs, and build supportive relationships with peers. Our work is only possible because of you. Thank you for opening your heart to our youth and families. We are grateful for the accomplishments you’ve made possible and hope you will join us in 2018 to continue making the world a better place for our youth.